Two instruments on Juno, the Waves plasma and radio wave detector and the Microwave Radiometer, gave answers to both of these mysteries, while simultaneously posing new questions. 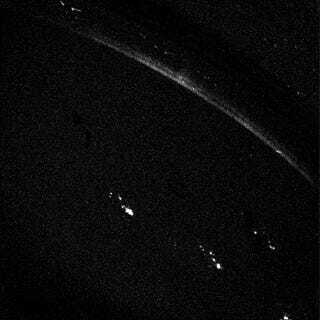 The Waves instrument on Juno discovered six times more lightning than originally observed by Voyager, with much shorter-lasting whistlers, which probably has more to do with Juno’s differing orbit around Saturn. There were up to four lightning strikes per second, very similar to rates here on Earth. The Microwave Radiometer spotted the high-energy sferics that other craft had been unable to detect. The researchers published the results in a pair of papers today, one in Nature and the other in Nature Astronomy.